UK is unarguably an absolute leader in terms of economic and political stability and is one of the world’s most important business centers. 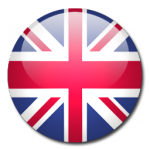 UK is a member of EU and can bring prestige and high status to a company registered there. There are two types of methods of company incorporation in UK: offshore and onshore. Thus, before looking into the specificity of registering a UK offshore company one has to know the difference between offshore and onshore organisations. An onshore is a financial centre in the low-tax jurisdiction that does not give tax relief to residents. An onshore company is the type of firm that is fully taxable, and therefore, even though you will be able to avoid taxation in your country of origin you will have to pay taxes at the rate set in UK. Those are PLC ltd companies and are used for a variety of agency transactions and operations. Onshore jurisdictions are also used in Denmark, the Netherlands, Hong Kong, Singapore, US and many other countries. Offshore companies include English (LLP) and Scottish (LP) partnerships. Those companies will not be subject to taxation if they comply with the rules and have the right organisational structure. However, there will also be limitations on particular deals, contracts and transactions e.g. inability to conduct deals with entities and persons resident in UK. It is highly advised to identify your business needs and perspective to see if you can surpass such limitations.